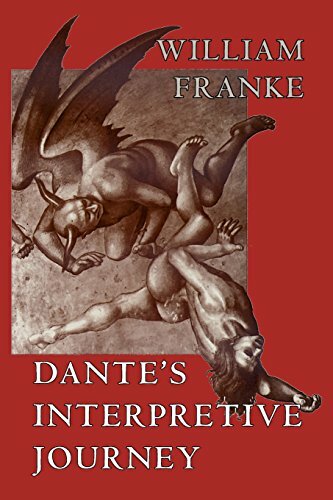 Critically engaging the thought of Heidegger, Gadamer, and others, William Franke contributes both to the criticism of Dante's Divine Comedy and to the theory of interpretation. Reading the poem through the lens of hermeneutical theory, Franke focuses particularly on Dante's address to the reader as the site of a disclosure of truth. The event of the poem for its reader becomes potentially an experience of truth both human and divine. While contemporary criticism has concentrated on the historical character of Dante's poem, often insisting on it as undermining the poem's claims to transcendence, Franke argues that precisely the poem's historicity forms the ground for its mediation of a religious revelation. Dante's dramatization, on an epic scale, of the act of interpretation itself participates in the self-manifestation of the Word in poetic form. Dante's Interpretive Journey is an indispensable addition to the field of Dante studies and offers rich insights for philosophy and theology as well. William Franke is assistant professor of comparative literature at Vanderbilt University.